The Admissions Committee is looking to understand more about you and your unique personality and how that can ultimately contribute to the Wharton community. We are a student-driven campus and need each and every MBA to bring something to the table. If you’re like me, you probably intended to start writing this thing way earlier. You probably intended to think long and hard about it. Complete two drafts. Show 10 friends for feedback. But, alas, life got in the way, as it tends to do. And now, you are stuck Googling, “How to write an MBA admissions essay.” Don’t worry, I got you. “What do you hope to gain both personally and professionally from the Wharton MBA?” is a lofty question. The Admission Committee is asking you to bridge the last 4-10 years of your life to the goals of your next 30 years, on paper, in under 500 words. You’re probably thinking, “How can I possibly convey everything important about me and my career choices in only 500 words? !” The answer is, you can’t. But, you can edit it down to show the highlights. What have you done to date, what unique things do you already know, and what do you have still to learn? How can Wharton help you and how can you help the Wharton community? How does that all connect to your goals post-MBA? I was an engineer who discovered a passion for connecting with consumers and meeting their needs. I’m Hispanic and have a passion for bringing the importance and potential impact of minority groups to the forefront. Although I had good analytical skills, I didn’t know anything about marketing or strategy, and it just so happens that Wharton has the best marketing faculty in the world. For me, the Marketing and Operations major played to my strengths and developed my weaknesses. And since I feel strongly that good communication makes for great leaders, I wanted a program that taught me how to be a better speaker and developed my soft skills as much as my quantitative ones. 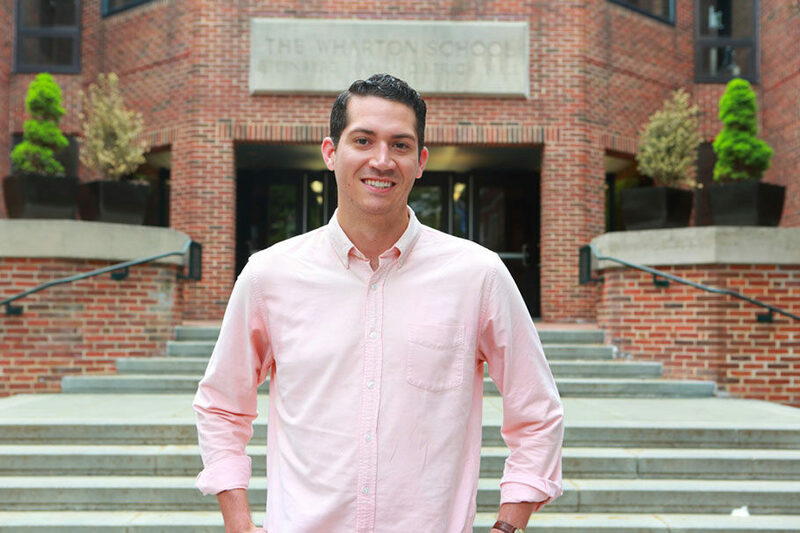 Wharton would not only help me learn how to connect with consumers, it would develop me into a strong brand manager who could lead multi-national businesses. Keep in mind that you are writing your essay for Wharton, not just any MBA program. It is pretty easy to tell if you spent a little time looking into why the school is the right fit, how you can leverage its resources, and how it will transform you as a business leader. Wharton is unique and your essay should reflect that. The Admissions Committee is looking to understand more about you and your unique personality and how that can ultimately contribute to the Wharton community. We are a student-driven campus and need each and every MBA to bring something to the table. Tell them how you, specifically, will make an impact. This tip is important for editing as well. Incorporate feedback up until the point that you feel like it diminishes your voice. Don’t let revisions scrub your personality out of your writing. This isn’t an admissions essay, it’s your admissions essay. Now you’re officially out of excuses. And almost out of time. We can’t wait to hear from you!